Normal fear protects us; abnormal fear paralyses us. Normal fear motivates us to improve our individual and collective welfare; abnormal fear constantly poisons and distorts our inner lives. Our problem is not to be rid of fear but, rather to harness and master it. murmuration is a term for a flock of starlings. i never knew this until the other day when a friend posted an amazing video on facebook - i can't count how many times i've watched it - it is fascinating. the on-line magazine (or would that be an ezine?) wired has an interesting piece about the video and the phenomenon that liberty smith and sophie windsor clive found themselves witnessing. i find the names for groups of birds most curious and wonderful - most of us know a group of crows is called a murder - but did you know that a group of cranes is called a sedge? 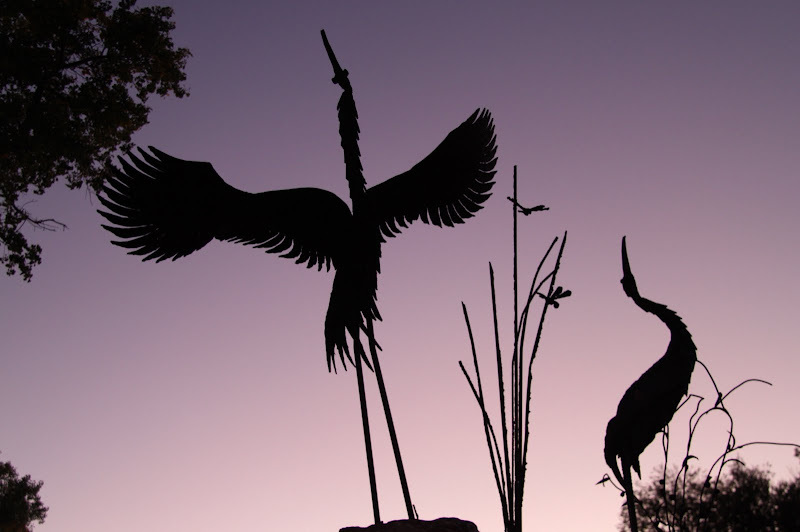 so i guess the sculpture above is of a small sedge of cranes. if you see geese on the ground they are called a gaggle of geese; but when they are flying overhead they are a skein of geese. owls must be the most political of bird species as group of owls is called a parliament of owls. ....like i said fascinating stuff! 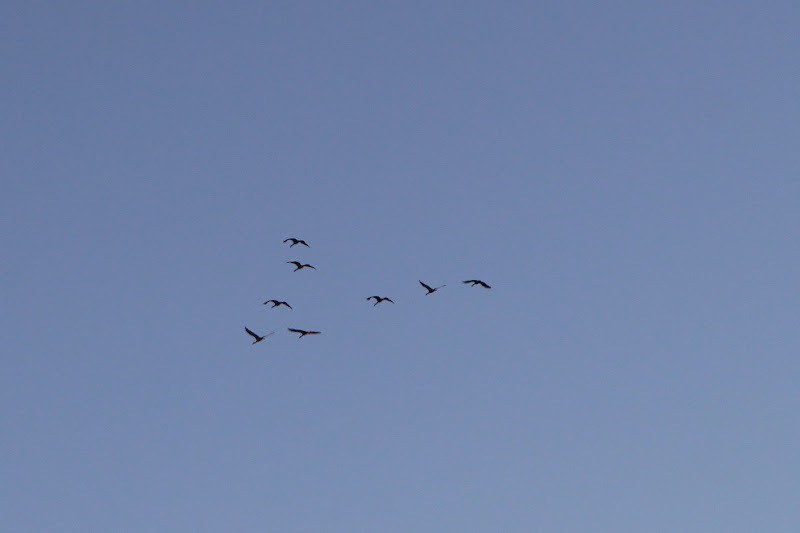 do you think the photo below is a sedge of cranes, a siege of herons, or a skein of geese....or something else? james lipton's book an exaltation of larks (1993) is a delightful anthology of collective nouns for birds and other species - and a virtual goldmine for all us scrabble players and word lovers out here. I also saw this video recently, perhaps through your facebook wall, and was struck and enthralled by the video. Looking forward to seeing the Wired article. I have/had that book, but darned if I can find it! I saw this video recently and was swept away by it. Your copy is much better than the one I received so thanks for posting it. I also love the incredible names for flock of birds.....I had never heard "murmuration"......I love that word. A bunch of whatever serves me well. Once in a nature center, I saw a card game for matching the unusual words to the groups of animals they describe. I always wish I had bought it. Now I will have to go look at James Lipton's book, and the wired article about the video. Thanks for even more awesome over the murmuration! How much do I love this photo of the birds? lots and lots!